The Hong Kong Observatory announces that the Tropical Cyclone Warning Signal Number 8 is expected to be issued at or before 5:30 p.m. today (12 Jun 2017). Tonight's screening of ‘Yellowing' will be postponed to this Saturday (17 Jun 2017) at 2:30pm, admission by tickets sold for tonight’s screening. Tickets of ‘Yellowing’ can be refunded or exchanged to tickets of other screenings in the programme* via Ying E Chi (Non-returnable and non-exchangeable via URBTIX). 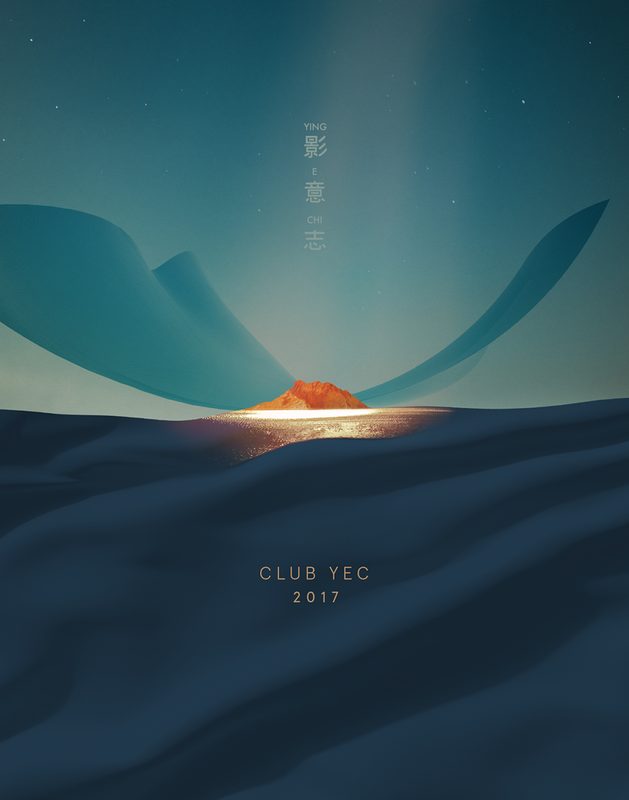 If ticket holders of ‘Yellowing’ would like to refund or exchange tickets through Ying E Chi, please send us an email to hkindieff@gmail.com with your name, contact number and option. Should you have any enquiries, please contact us at 2836 6282. 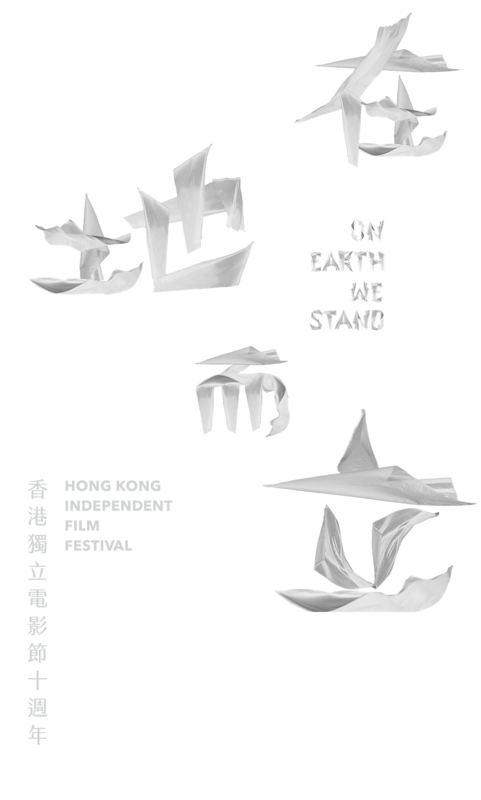 It has been ten years since the first Hong Kong Independent Film Festival (HKindieFF), but we experienced much more than ten festivals. For different reasons, we organised more than ten festivals on an irregular basis. Flexibility is HKindieFF’s feature that we do not want it to be a mere annual event that the audiences come for films’ reputation and slip their mind once it is over. 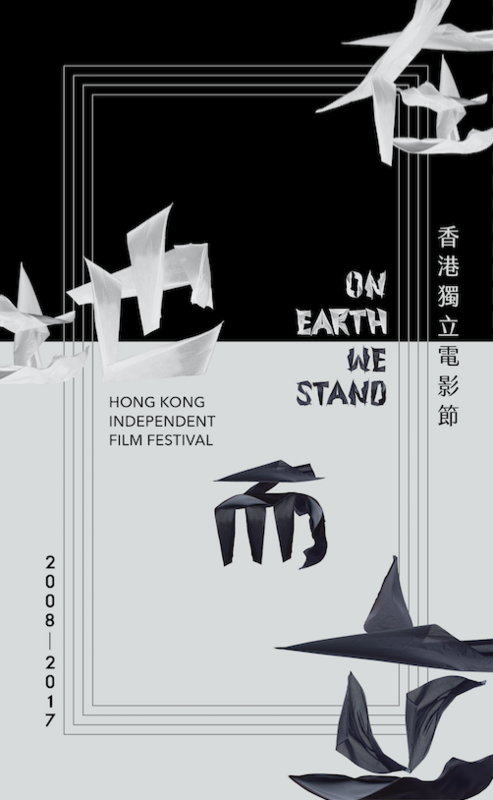 On Earth We Stand is a documentation of the last decade which records the growth of the HKindieFF and reflects the development of independent cinema in Hong Kong. Corresponding to the publication, this programme is a retrospective of the important sections at the previous festivals. On top of that, it aims to be a continuing discussion of the independent cinema. As in the foreword at the HKindieFF 2011, We are looking beyond the present and into the future. Yellowing first screened in HKindieFF 2016. In the last year, the director and our team showcased it in various cities as well as in Hong Kong and initiated many meaningful discussions. 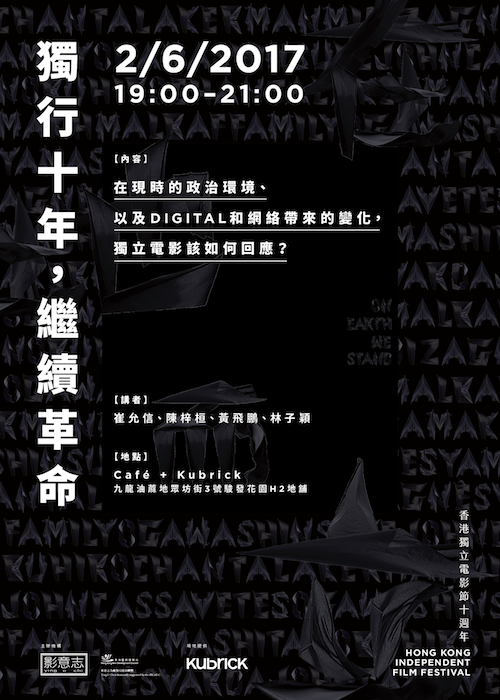 This upcoming final screening will still in the Hong Kong Arts Centre, which is the same as the first one. It was a satisfactory result but not the end of it, Hopefully, this upcoming screening will be another way to perpetuate its significance. At the beginning of HKindieFF in 2008, ‘Indie Focus’ was already an important part. We had curated retrospectives of Nobuhiro Yamashita, John Cassavetes, Shinsuke Ogawa, Agnès Varda, the Makhmalbaf family, Midi Z, Chantal Akerman, and the most recent one on Taiwan New Cinema. Ogawa’s retrospective in 2011 was a response to the protests against the high-speed railway project in Hong Kong. It focused on the social concerns of the independent films and closed the gap between social movements and films. Magino Village - A Tale was filmed for 13 years of Ogawa’s life which is also his last full-length film. In this screening programme, it is going to show with The Theatre of a Thousand Years - also directed by Owaga which records the process of constructing a specific theatre for Magino Village - A Tale and rethinks the relationships between films and ways of screening. At HKindieFF 2013, we did not screen Happiness directed by Agnès Varda, the mother of the French New Wave, now we are going to show the restored version of it. Super Citizen Ko is a continuation of the Taiwan New Cinema programme earlier this year. Director Wan Jen maintained a dialog with the public that is still very relevant in the Hong Kong context. Through this film, we would like to explore how we can deal with the current social circumstances.